Over the past few weeks, we've heard various rumors about Captain America: Civil War, including our possible first look at the Spider-Man (Tom Holland) costume, and details about Black Panther's (Chadwick Boseman) mission in the movie. While we'll have to wait until May 6 to find out if those details are true or not, today we have a new report from Birth.Movies.Death, with several of their sources having already seen the movie and offering it high praise. These unidentified sources particularly praise both Spider-Man and Black Panther. We know that the movie takes place in the aftermath of the Sokovia destruction in Avengers: Age of Ultron, with another catastrophe that causes world leaders to demand accountability for these heroes' actions. Almost all of the major heroes from Avengers: Age of Ultron appear in the movie, with the notable exceptions of Thor (Chris Hemsworth) and Hulk (Mark Ruffalo). Many have speculated that, with all of these heroes under one cinematic roof, Captain America: Civil War may be just another Avengers movie, but these sources indicate that's clearly not the case, since the story "truly focuses" on Captain America (Chris Evans) and Bucky Barnes/The Winter Soldier (Sebastian Stan). 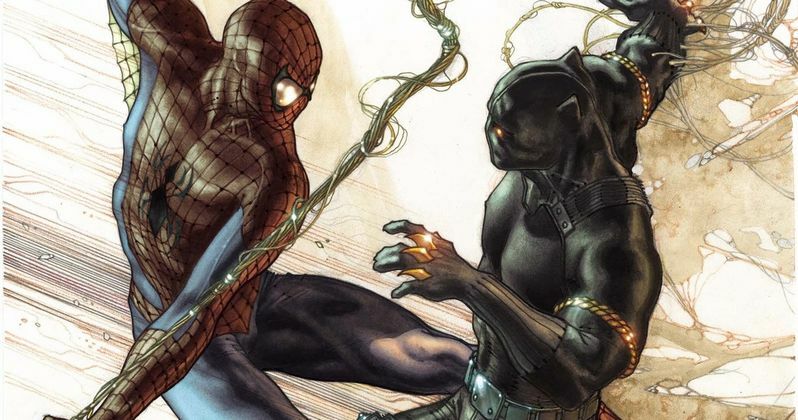 As for Spider-Man and Black Panther, no specific details about their stories were given, but Spidey is said to be "great" in the movie, while T'challa is described as "phenomenal," with Chadwick Boseman said to be a "great addition to the MCU." The site's source also teases that the final act of the movie is "brutal," which falls in line with what directors Anthony Russo and Joe Russo said last month about the movie, teasing it will deliver a "seismic shock" to the MCU. Here's an excerpt from Birth.Movies.Death's report about the last half-hour of the movie. "This movie picks up the pieces of Avengers: Age of Ultron in surprising and human ways and makes us feel the true cost of Sokovia. And I've been told that the last half hour of the film is brutal, both physically and emotionally. One person told me that the last act plays out as an emotional horror movie because the film gives both Tony and Steve solid reasoning, and because it truly makes you feel the depths of this schism." With the May 6 release date just under two months away, we still haven't seen that much from Captain America: Civil War, aside from two trailers and a handful of photos. We'll surely get more footage in the weeks that follow, but we'll have to wait and see how much more Marvel plans on revealing before the release date. What do you think about these new Captain America: Civil War details? Are you even more excited to see Spider-Man and Black Panther in action?